I credit good friend Jamie with our idea for zoocation 2013, when she relocated to the Minnesota Zoo, to become their Bird Supervisor. Zoo #2 on was an all access pass with Jamie and her colleagues as they showed us their fantastic zoo. 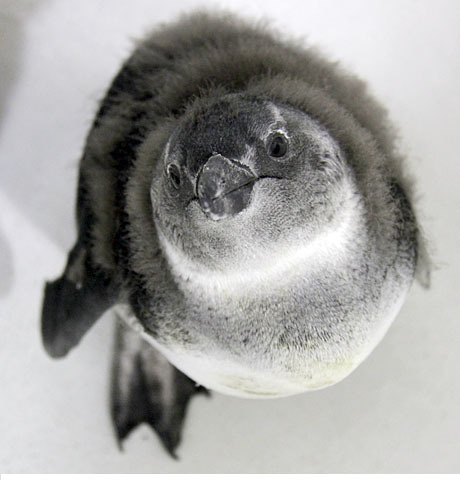 We got an up close and personal visit with their two adorable penguin chicks, a behind the scenes visit in the enormous tropics trail aviary, the Grizzly coast, the sea otter area, Minnesota trail and much more. Looking forward to revisiting with Jamie in the coming years as we watch this already enormous zoo grow bigger and better. A big Lobo shout out to Jamie!